Gonta, Ivan, b ? in Rozsishky near Uman, Bratslav voivodeship, d 1768 in Serby (now Gontivka) near Mohyliv-Podilskyi, Kamianets-Podilskyi voivodeship. 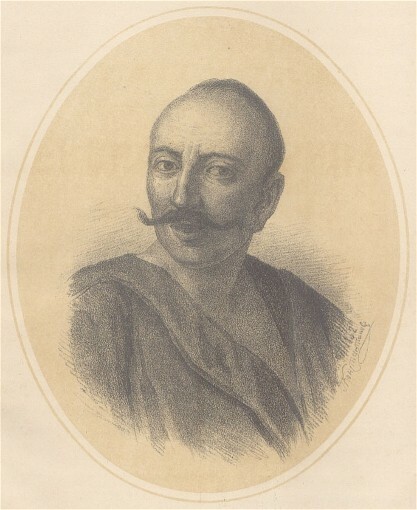 (Portrait: Ivan Gonta.) 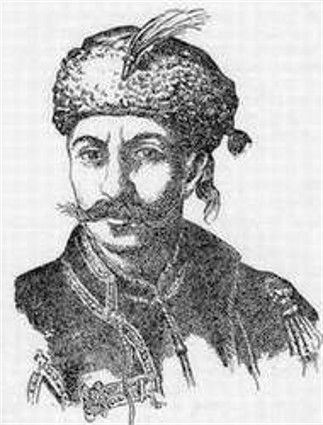 One of the leaders of the Koliivshchyna rebellion. 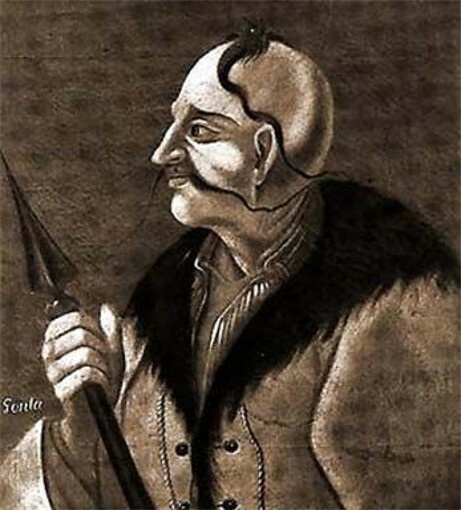 A captain in the Cossack household militia of Franciszek Salezy Potocki, the voivode of Kyiv, in Uman from 1757, he was ordered to attack the approaching Haidamaka forces led by Maksym Zalizniak. Instead, he and his militia joined the rebels, and the joint forces captured and ravaged Uman on 21 June 1768, massacring Polish nobles, Jews, and Uniates. Gonta was proclaimed colonel of Uman. Fearing that the rebellion would spread into their domain, the Russian government sent a regiment of Don Cossacks to Uman to suppress it. Its colonel, Gurev, tricked the rebels into believing he sided with them. He invited them to a banquet, at which about 900 of them were seized and handed over to the Polish grand hetman, Jan Klemens Branicki. Before being executed, Gonta and others were tortured cruelly for several days. Parts of his body were nailed to gallows in 14 towns. Many folk songs and legends were composed about him, and he is one of the heroes in Taras Shevchenko's long poem Haidamaky (The Haidamakas).